The December 2012 issue of First Days, the award-winning journal of the American First Day Cover Society, can be downloaded free of charge from the society's website, www.afdcs.org. Ordinarily, the online edition is available for Gold, Silver, Life and Internet-Only members about two weeks before the hard-copy edition is mailed. However, a production scheduling glitch is delaying the mailing of the print edition. The printer is closed for vacation during Christmas, and won't be able to mail the magazine until January 8. The online edition is already available, "and rather than make print subscribers wait, we thought we'd make it available to all our members now, as well as anyone else who'd like to read it," said AFDCS president Lloyd de Vries. "I think after reading this issue, non-members will realize how much they're missing, and decide to join the AFDCS," he added. Annual memberships, which include a subscription to First Days, start at $24 for "Online-Only." 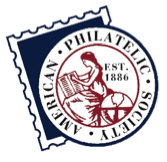 The AFDCS is the largest not-for-profit organization in the world specifically for FDC collectors. Besides First Days, it publishes handbooks and presentation programs, produces special FDCs and generic cachets, and operates Americover, a World Series of Philately stamp show dedicated to first day covers. This year's Americover is being held Aug. 16-18 near Cleveland in Independence, Ohio.